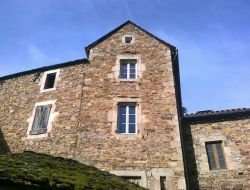 Close to Millau in Aveyron, holiday cottage for 4/6 persons, of 60m². All the windows have a fantastic view, upstream on the Tarn and the viaduct of Millau, downstream over the valley of the Tarn. 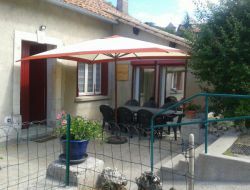 Gite for 6 people in the Aveyron, quiet with wifi, for spa or holiday. 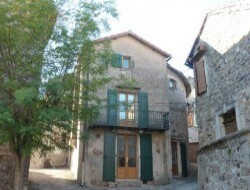 Farmhouse renovated in comfortable and authentic cottage in the quiet in hamlet to 700 m of altitude. Ideally located in the center of the department of Aveyron, equidistant from the great spaces of the Aubrac and the Causse of Larzac, this lodging allows you to discover varied and natural landscapes. 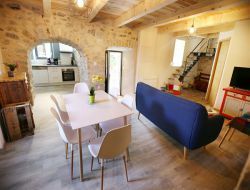 Gîte located in the heart of the Tarn Gorges, in Occitania, Liaucous, medieval classified village which will offer you, for a few days, an atypical and relaxing stay. This old oil mill offers you a crossing in time that will lead you, through its many paths, to majestic and astonishing sites. 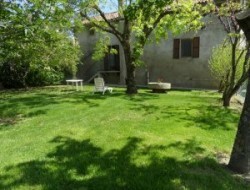 Located 19km from Millau, holiday home of 80m ² fully equipped. 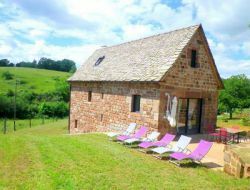 Cottage on the farm, with a capacity of 8 people, in the heart of the Grands Causses Regional Park, a UNESCO World Heritage Site for its landscapes shaped by pastoralism. Gite near Millau and the gorges du Tarn, ideally located for nature sports, walks or simply relax in a green setting. This village house, completely restored and nicely furnished, has all the comfort necessary for a nature stay in a beautiful and authentic village. Come and relax with family or friends. Go hiking in the Causses, go swimming in the Tarn or in the pretty river nearby. Visit the cellars of Roquefort or admire the Viaduct of Millau: everything is there to spend an unforgettable stay. 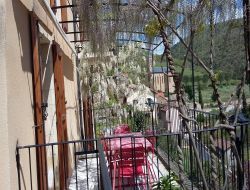 Gite 8 people restored in 2019, in the heart of a Templar village of Larzac, overlooking the city. House on one level with 4 bedrooms, kitchen, large dining room, living room with wifi. 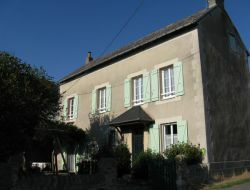 Ideal cottage to meet with family or friends in Aveyron. South facing terrace and garden. Rent of an independent holiday cottage for 7 people in the natural reserve of the big Limestone plateaus, the Mecca of the pastoralism, come to discover the world of the ewe. Numerous hiking trails, fishing at the edge of a lake. Closed garden where the young children can run without risks. Old house completely renewed on 3 levels. This holiday cottage can receive 6 to 8 persons with its 4 bedrooms (3 bathrooms), a big stay with fireplace and 2 terraces of which one with a view of our limestone plateaus. The swimming pool is to share with our hotes, very quiet and raised countryside in a small hamlet of the Aveyron.